To educate and enthuse school children about the music, musical instruments, and history of different cultures from around the world. To offer assistance to promising young percussionists through performance opportunities and access to quality instruments. 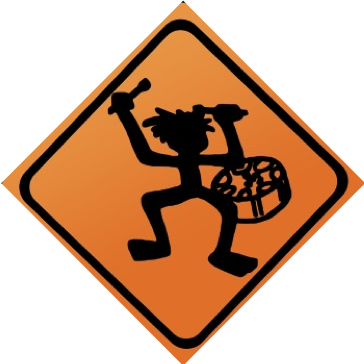 Presenting educational concerts throughout New Zealand, including our World Tour of Percussion and the smaller-scale, interactive Junk Jam concerts. Creating educational resources for use in schools, the World Tour of Percussion Music general resource, and the Smellin' of Stomp, targeted at NCEA Music AS 91095 (Demonstrate knowledge of music works from two contrasting contexts). Operating a pool of mallet percussion instruments for hire to student percussionists throughout Christchurch. In addition, many of the members of Pandemonium teach percussion and music around Christchurch. Please contact us for further information about any of these areas.